Raw Vision Gallery Opened in June 2009 with the vision to give gifted creatives the opportunity to showcase their talent to a local and international audience. With so many talented young emerging artists in South Africa we mainly give young artists the chance to exhibit. We do however represent some very talented and creative internationally recognised established artists and fine art photographers. Raw Vision Gallery's upcoming Summer event entitled 'African Odyssey' from 11 Feb 2010 will reflect the efforts of each artist to capture the distilled moments of time along the way as well as paying respect to the magnificence of Africa that inspires the adventurous spirit in us all, even if it is through an image. Raw Vision Gallery is located in the vibrant art hub of Woodstock. Join in and write your own page! It's easy to do. How? 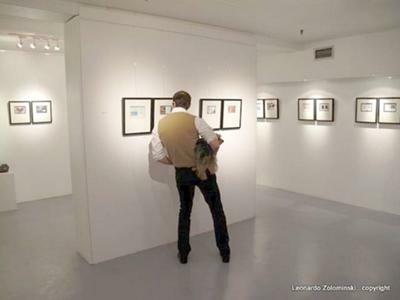 Simply click here to return to Cape Town art galleries.